The purpose of differentiating the curriculum is to provide appropriate learning opportunities for students of different abilities and interests. It is what I would say is an indicator of a high quality classrooms….that there is difference in what students learn based on ability or interest. A differentiated curriculum is a program of activities that offers a variety of entry points for students who differ in abilities, knowledge and skills. In a differentiated curriculum teachers offer different approaches to what students learn (content), how students learn (process) and how students demonstrate what they have learned (product). Numerous models of curriculum differentiation can be applied creatively to produce programs that provide flexibility and choice for the range of individual differences in the classroom. These models show how content, teaching and learning processes and products can be fine tuned to meet the needs of all students. The Maker model of differentiation works particularly well within a PBL classroom. This model incorporates strategies for the modification of content, process, product and the learning environment. Content needs to be adjusted to accommodate the ability of students. Students that are gifted within the domain, for example, will be more likely to deal with more abstract ideas. The curriculum can then be compacted so that students have the opportunity to be challenged and achieve outcomes of a higher order. For students with learning needs, a different level of content may be used, where modified language or examples may be used in order to make the content level easier to access. Process involves the methods that are used by teachers to present information, the questions asked of students and the mental and physical activities expected of them. This is essentially the pathway that students will follow in order to meet the outcomes. Not all students must follow the same pathway to show understanding of the outcomes. 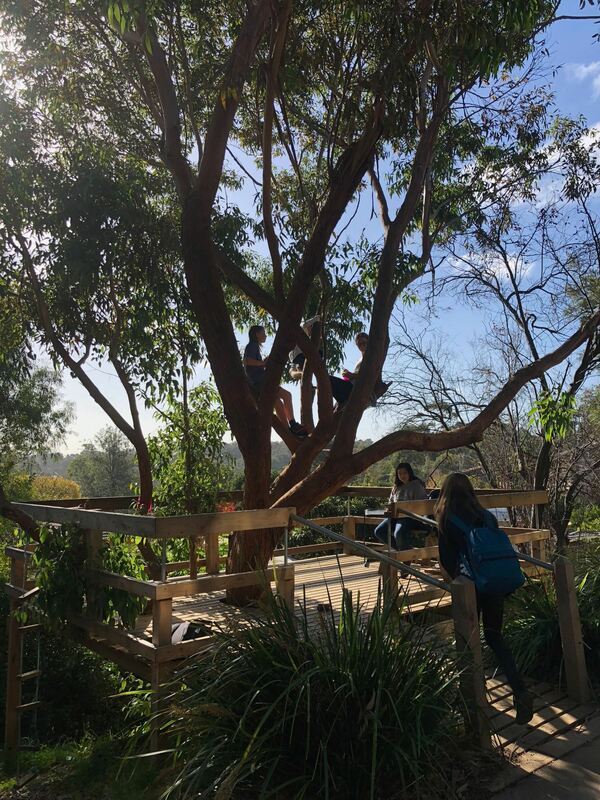 Within a PBL Classroom, often students are working on different elements of a project and in different ways. A good PBL classroom would have a number of workshops within the lesson structure, so having different students attend different workshops based on their needs would not be an unusual activity. Product modification works well within a PBL classroom, particularly with those projects that have an open ended product as the end product. Students might show their knowledge and understanding of the content in different ways. Students may elect to show a film, write a poem, physically act out their display or create a physical model. Grouping students and the structure of the task is important here. This week, I was lucky enough to visit three schools in Victoria moving beyond differentiation to true personalisation of student learning. Our principal, pathways coach and I went to Bundoora Secondary College, Mount Alexander College and finally Templestowe College, each successive school further away on the track of personalised learning for each student. At Templestowe, we spoke to one student who had accelerated some of her VCE subjects to do certain VCE units (equivalent of the HSC) in year 8, 9 and then 10, to finally complete her VCE with the ATAR that she needed to get into the course that she wanted, however, decided to do an extra year to run her own theatre production, while working part time at the school as part of the school council. In all three schools, the curriculum was individually personalised with different types of “elective” courses, co-designed with students and teachers to create interest based electives that taught curriculum concepts. 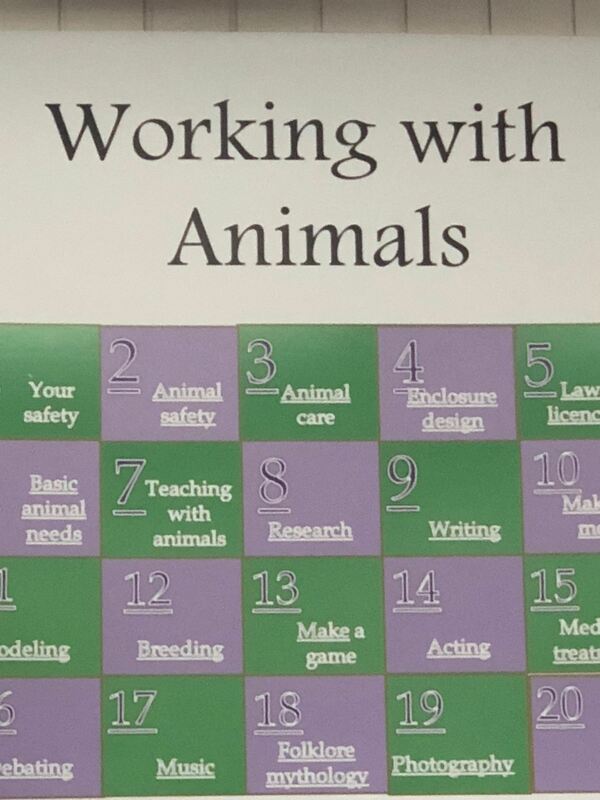 Through the three tours I spent much of my time jokingly (somewhat) telling our pathways coach Oriana, that “No, we can’t have animals” until I walked into their feathers and fur class, and saw the work on the whiteboards. 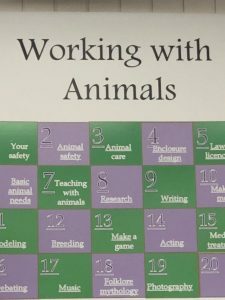 These students had managed the entire class, from paying for the animals, a daily schedule of care that had been spread between students to “deciding whether to spend $200 on a vet visit or getting an animal put down”….students run the elective and manage all of the decisions of within the course. I was so impressed with the management and organisation of the students, within an area that they very clearly cared strongly about. Student electives are created in levels of beginners, intermediate and advanced where the whole curriculum is co-constructed with students to be the ultimate in personalisation. Each person is treated with the same level of respect, be they student, principal or teacher. With a “Yes is the default” policy, any person can propose a topic/program and it will not be rejected unless it is too costly, takes too much time, or has a negative impact. Coming from a design background, where every student is encouraged to follow their own interests, I kept reflecting on how the design and tech syllabus would fit into these electives, where any student could potentially make anything or do anything…be this a theatre production, a physical object or writing a book. 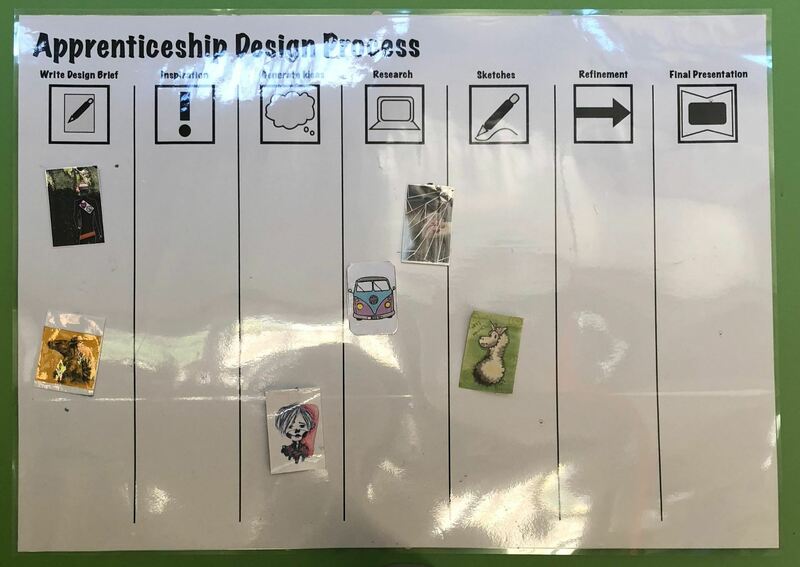 We do this in year 11 and 12 where good design teachers give students the option to do “whatever they like…so long as you can maintain interest for a year”. You can see this in the quality of the projects that classes present…Not only the quality but the range of different types of projects….where the teacher is obviously not the expert in the class, but the has given students the freedom to drive the project. Is there any reason, however, that this can’t be done earlier? There’s really no pre-existing knowledge of design processes, materials or manufacturing processes that’s assumed on entry to the design and tech syllabus. So, is a 12 or 13 year old capable of running a self-driven design project? If a student is passionate and interested in the project that they have designed, developed and made the decisions around…why not? There’s nothing developmentally inappropriate for a year 7 or 8 student in the HSC course. The next step then…can a student engage in designing a course to the level that is required to learn course content in a subject like English, HSIE or Maths? If the student is truly engaged in the course due to the fact that they have made choices around what they want to do, and where they want to lead the content? With the help of rubrics where students can checklist key competencies when they learn them? All of these are interesting ideas, and with the consideration of the extra time within the curriculum, there is a very easy move to personalised learning from differentiated in this time. But lets also try to figure out how we can give students more choice…more personalisation within our regular curriculum too. Kelly this is amazing!!! In my studies and work I have seen so many schools and teachers starting to shift the way they report on progress, and that reporting (and self reporting) on character, values, and citizenship are just as important as the academics. Would it be okay for me to share some of the work that St Luke’s is doing with schools here in the UK?